Every website we create is designed to be the ultimate medium for spreading a brand message. 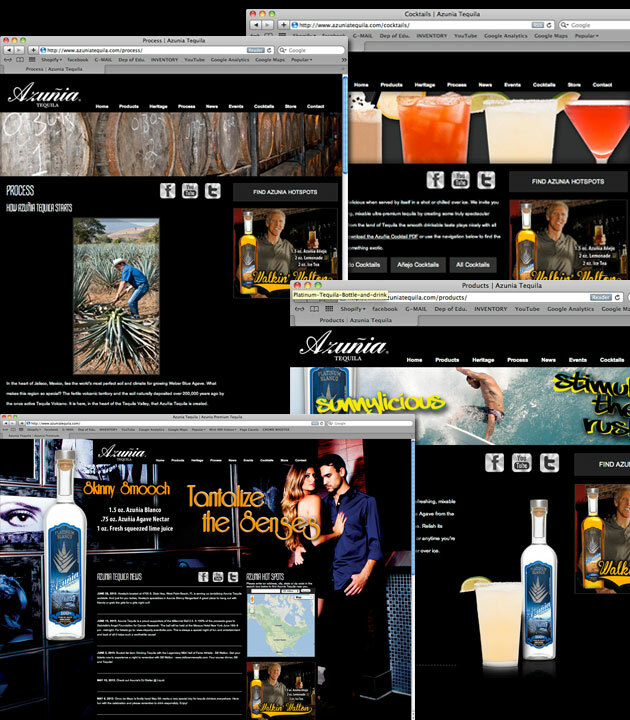 For Azuñia Tequila, they needed a brand portal that showcased their premium tequila and highlighted all the lifestyle events they are involved in. So we produced a premium website that included a custom retail locator as well as a social media panel, so all their Twitter, Facebook, YouTube and Instagram posts were integrated into their home page.